The modern yet stylish Alaska chair is ideal for all commercial venues. It can be customised in different coloured fabrics and faux leathers to match your preference. 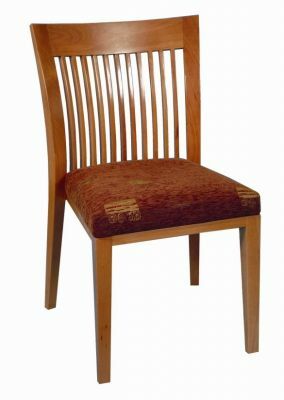 Modish wooden dining chair manufactured to a very high commercial standard. Features of the chair include a designer back panel with decorative slots and a square thick padded seat for ultimate customer comfort when sat.